The early-stage study will enroll 40 subjects. Drug developer Inovio Pharmaceuticals Inc and its partner GeneOne Life Sciences Inc said they had received approval from U.S. regulators to start an early stage human trial testing their Zika vaccine. The early-stage study will enroll 40 healthy subjects and evaluate safety, tolerability and immune response generated by the vaccine GLS-5700. "We plan to dose our first subjects in the next weeks and expect to report phase I interim results later this year," Inovio CEO J Joseph Kim said. In February, the World Health Organization (WHO) declared Zika a global public health emergency. The virus has been associated with microcephaly, a birth defect characterized by an unusually small head and potential developmental problems. 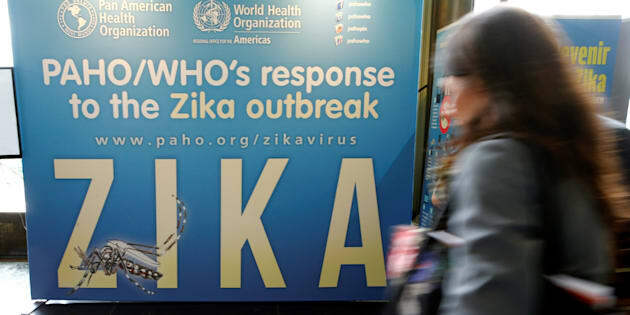 Last week, U.S. health officials reported three babies born with birth defects likely linked to Zika infection in the mother during pregnancy. French drugmaker Sanofi SA is likely to begin testing its own vaccine in humans next year. India's Bharat Biotech is another company that is in the race to develop a vaccine for the mosquito-borne disease.